We’re definitely still be devastated we’re probably not going to see Game of Thrones again until 2019, but according to Jason Momoa, the wait will be worth it. Momoa, who starred as Khal Drogo on the first season of the HBO hit series recently visited the Belfast headquarters of Game of Thrones — which is currently filming its final season — and learned a whole lot of spoilers for the upcoming season. But don’t worry, the actor isn’t planning on spilling the beans, revealing to Entertainment Weekly that as a massive fan of the hit series, he was almost disappointed to get the inside scoop. However, he did reveal that our very long wait is going to be worth it, calling season eight, “the greatest thing that’s ever aired on TV.” Guys, that’s high praise. Despite being killed off the HBO hit series at the end of its first season, Momoa has remained a big part of the Game of Thrones family, from making surprise appearances at Comic Con to reuniting with his TV wife, Emilia Clarke, and former co-stars whenever he gets the chance. With the final season looming ahead, many fans even took Momoa’s set visit to mean a surprise appearance from Khal Drogo during the show’s final season. But the actor set the record straight that we won’t be seeing more from the late Khal on Game of Thrones. While Momoa’s visit to Belfast (probably) won’t translate into a Drogo cameo, it did pave the way for one of the greatest photos of all time as two fan favorites met for the first time. 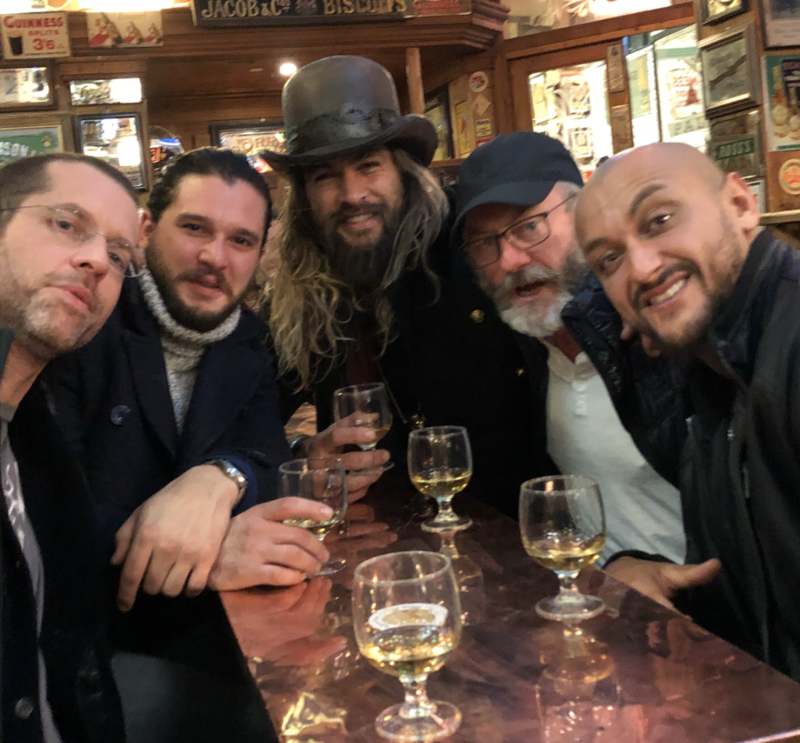 While Momoa’s heavily Instagrammed trip saw him catching up with his former Game of Thrones costars and bosses, it also allowed him to meet Kristofer Hivju, who plays Tormund on the hit series. We would have *loved* to have been a fly on the wall during this seemingly *wild* night out. A Jason Momoa-less final season of Game of Thrones is expected to return in 2019.